Some simple settings in the Health app can help you better keep track of your activity. For instance, if you prefer to use kilometers instead of miles for tracking your running and walking, you can make this change in a few taps. 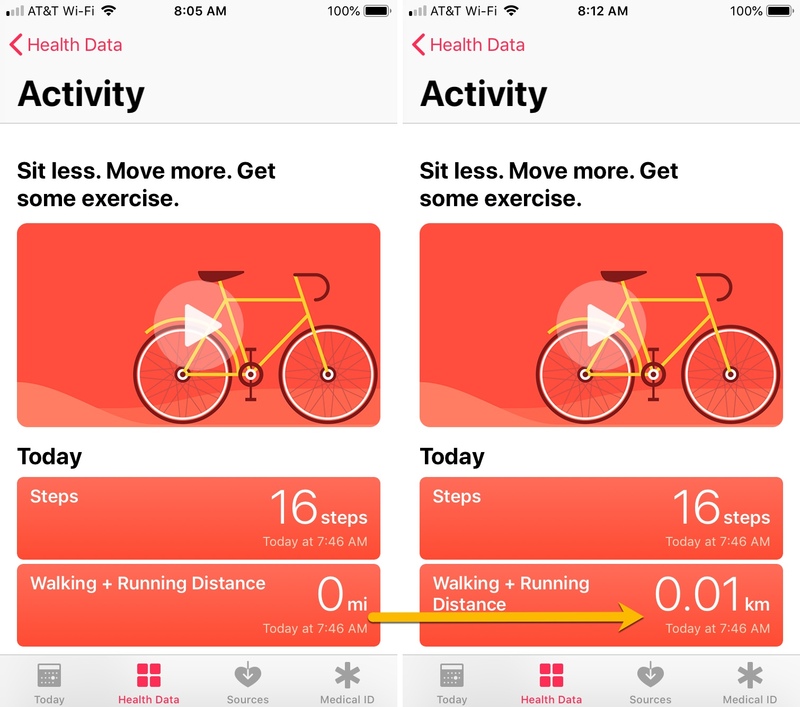 Just follow these steps to switch between miles and kilometers in the Health app on iPhone as well as the Workout app on Apple Watch. 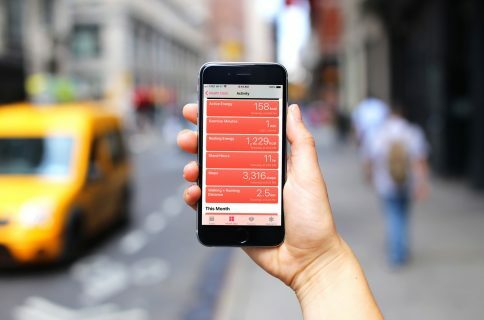 Open up the Health app on your iPhone and then do the following. 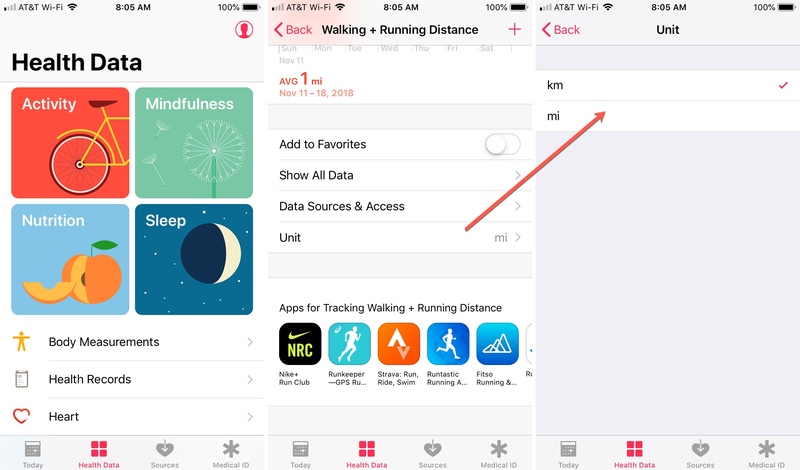 1) Tap to open the Walking + Running Distance activity. You should see this widget on both the Today screen and the Health Data screen. So, just tap it. 2) When the graph page opens, scroll down a bit and select Unit. 3) On the Unit screen, tap to change from miles to kilometers. You’ll see a nice, red checkmark indicating your choice. Now you can view your activity distance in kilometers below the graph for your average as well as on the Walking + Running Distance widget for the current day. You should also see the change in your Activity app. 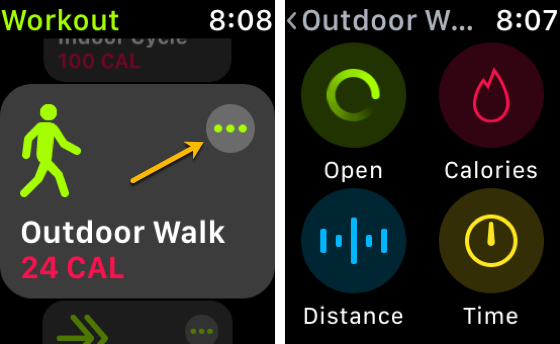 If you prefer to change the units on your Apple Watch, you can do this easily by opening the Workout app. 1) Tap the three-dot icon for one of the widgets such as Outdoor Walk or Outdoor Run. 3) Use Force Touch to open the menu. 4) Make your selection from miles or kilometers. 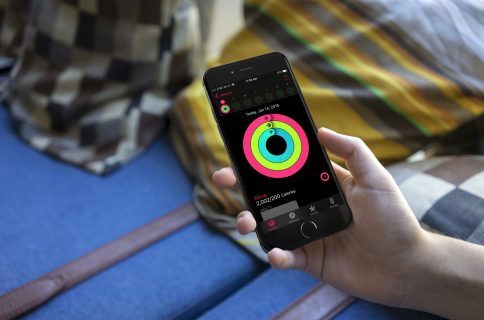 If you’re interested in additional articles combining your health with your Apple Watch, check out these tutorials and apps. Making the Health and Workout apps work for you is essential to using it to its full capacity and helping you stay healthy. 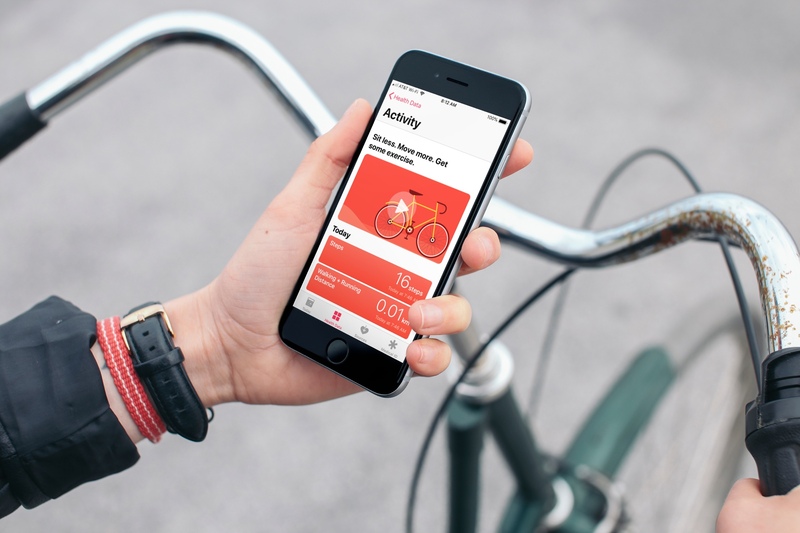 Do you use the Health app regularly to check on your activity, log data, or track workouts? Let us know which Health app feature is your favorite in the comments below! And remember, you can always hit us up on Twitter for feedback, recommendations, or app suggestions.